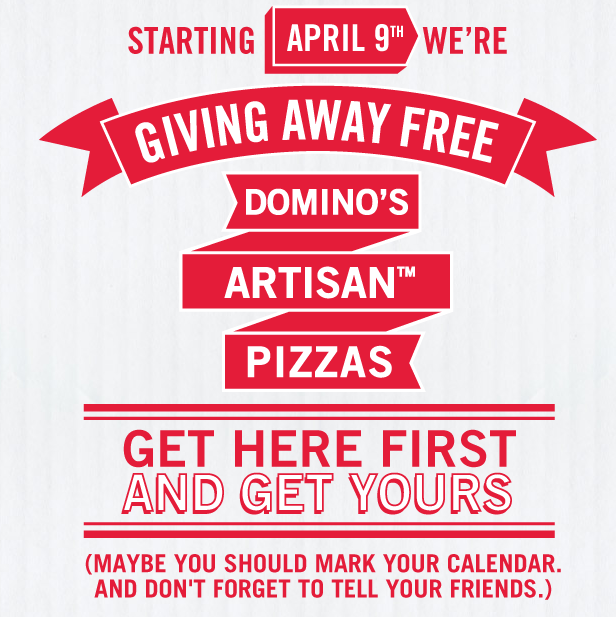 Get a Free Artisan Pizza from Domino’s – Starts Today! The Domino’s Free Artisan Pizza promo begins today! 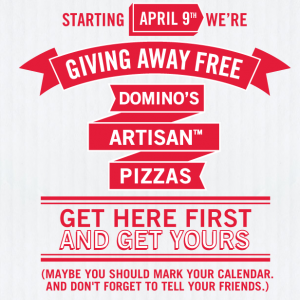 No specific time was given, however Domino’s will be offering FREE Artisan Pizza’s April 9-12th, so keep checking the Domino’s Facebook page for the promo to begin throughout the day. To receive a free Artisan Pizza, visit the Dominos Facebook brand page during the Giveaway Period and “like” the page. Then, click where indicated to receive a free Artisan pizza. Playskool Step Start Walk ‘n Ride just $14.99!